One nil to the Arsenal. It was never going to be enough. 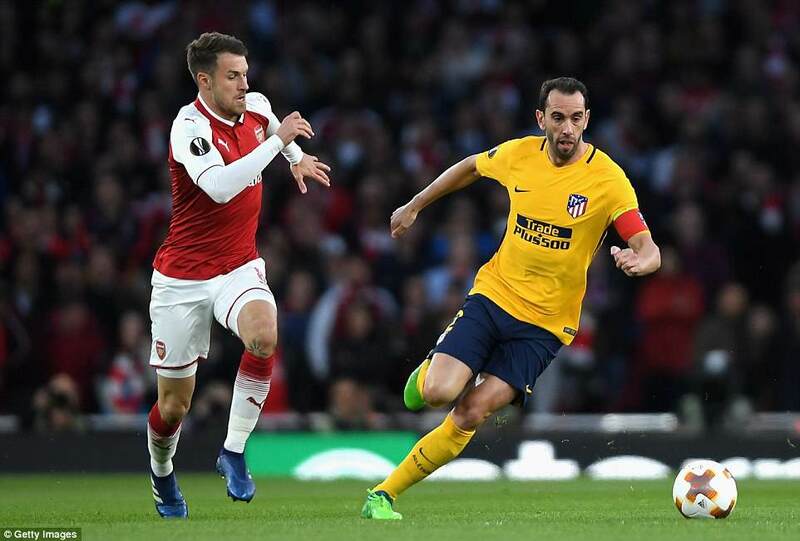 Even before Atletico Madrid equalised, there was always the fear Arsenal might not be able to defend such a slender lead in seven days time. 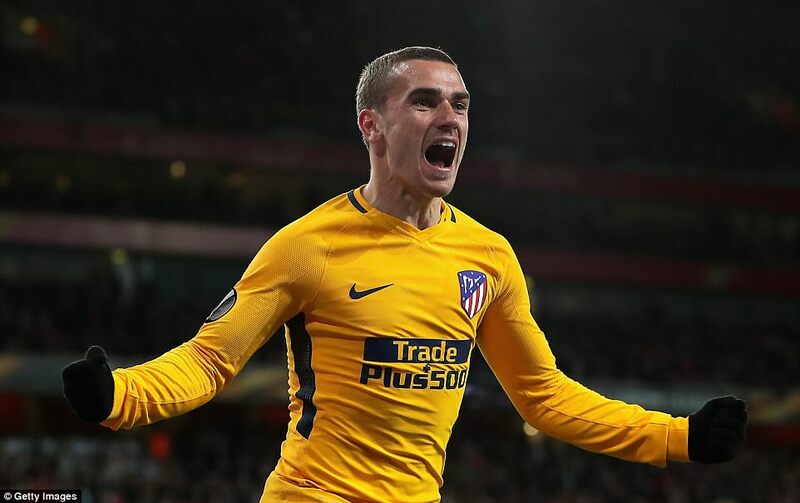 Antoine Griezmann’s goal with eight minutes remaining confirmed it. Madrid, reduced to ten men after nine minutes, had barely been able to get out of their half for much of the game. When they did, they scored. What a soft, soft goal it was, too. 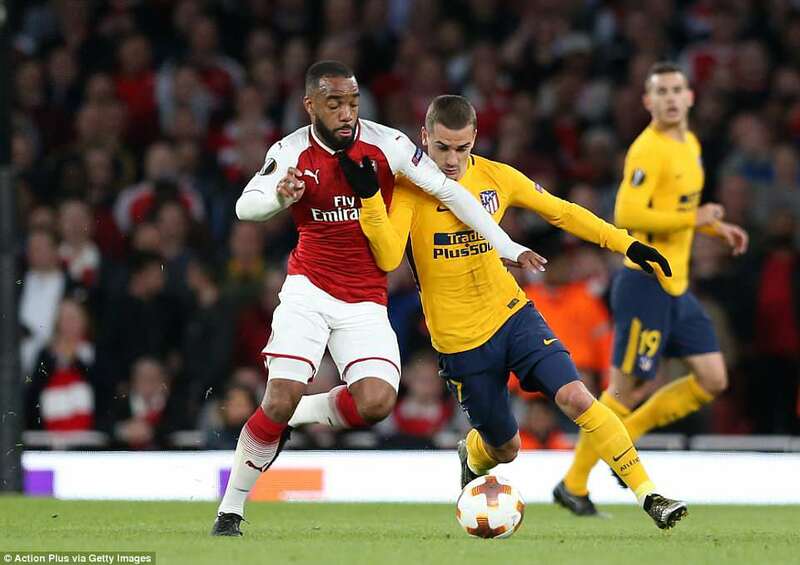 Alexandre Lacazette lost possession and a long ball was pumped up for Griezmann to chase. It was the first real defensive work for Laurent Koscielny all half, and he messed up. He allowed Griezmann to get away slightly, then kicked a panicked clearance into his own face. David Ospina saved but the ball went loose. Shkodran Mustafi, covering, slipped over, Griezmann scored. 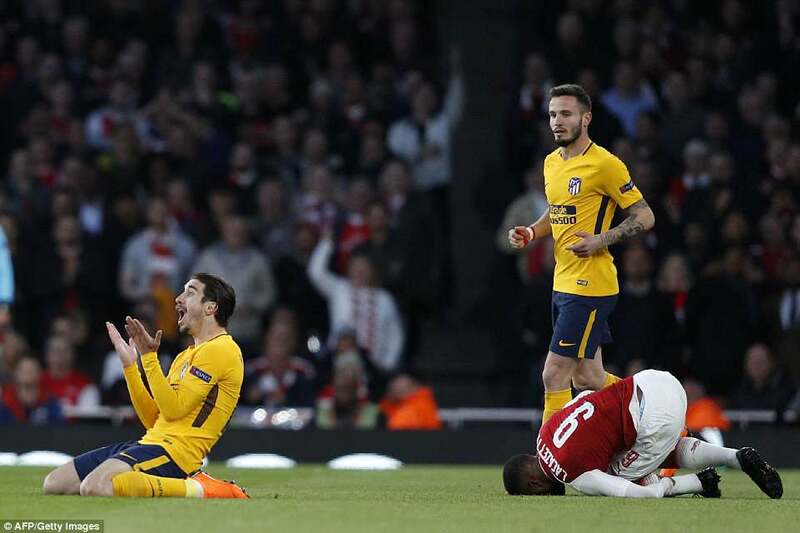 It was a brilliant result for Atletico; desperate for Arsenal. Frankly, there will never have been a better chance to put Atletico Madrid away. 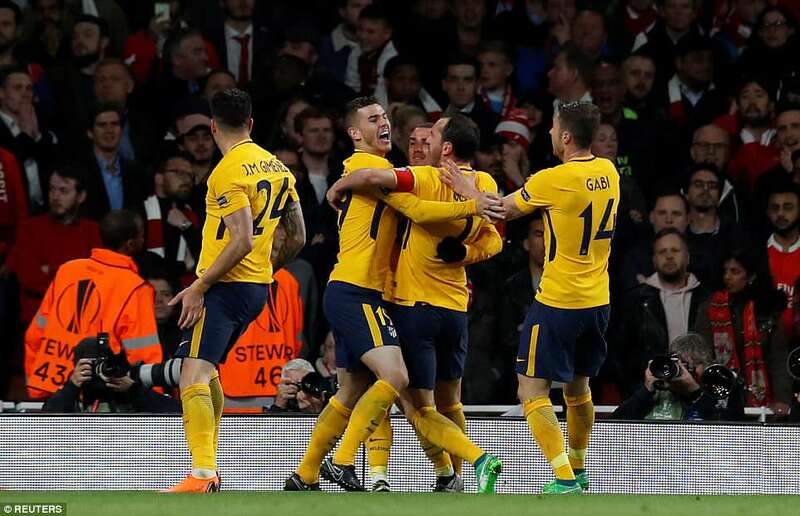 Down to ten men within ten minutes, Diego Simeone sent to the stand after 12, Diego Costa on the bench, not quite fit enough to be involved – Arsenal could not have asked for better circumstances than this. It was as if football’s celestial writing room had got together to cast the perfect end narrative for a favourite character. Like Meghan Markle’s wedding in Suits. Arsene Wenger was going to ride off into the sunset with a European trophy at last. It was all going in his favour. And, yes, Arsenal ran with that storyline – but not as eagerly as they should. 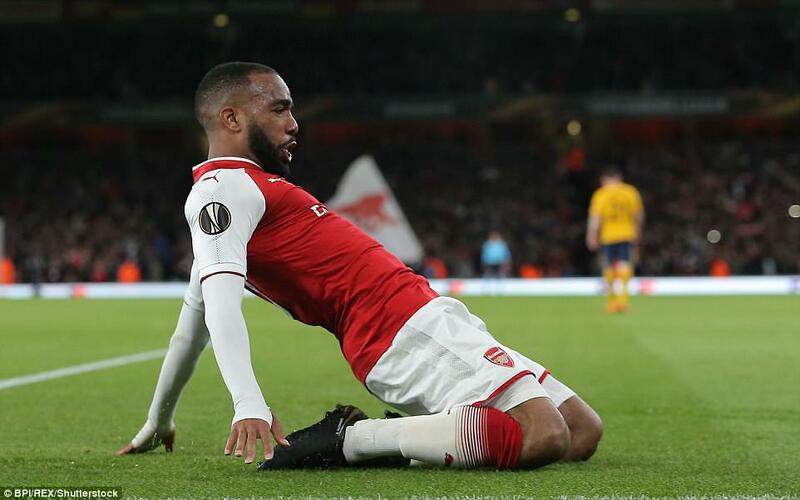 They scored through a Lacazette header after 60 minutes, but could not prevent the away goal. 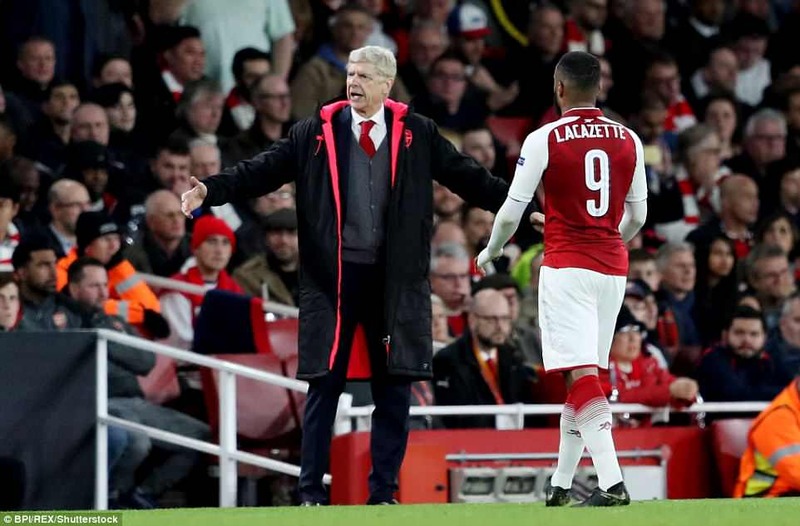 Arsenal’s journey to the Champions League final under Wenger in 2006 was built on defensive resilience and fine margins, but this is a different group. If the pesky Costa is back, in front of a raucous home crowd, knowing even a goalless draw will do, it is hard to imagine Arsenal will hold. 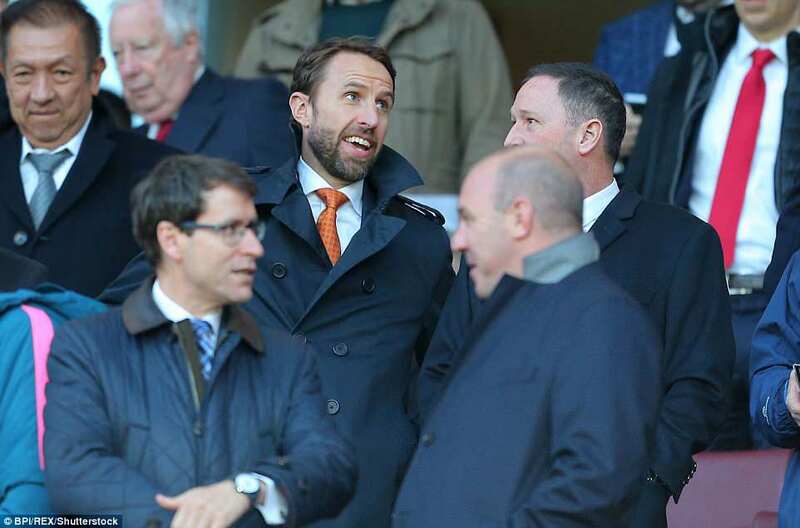 And yes, Madrid were favourites here – but with ten men for 81 minutes, and a charismatic manager in exile high in the stands? This was a huge opportunity lost for Arsenal. Had Danny Welbeck got the merest touch on a Lacazette pass across the face of goal after 67 minutes, this could have been close to perfect. 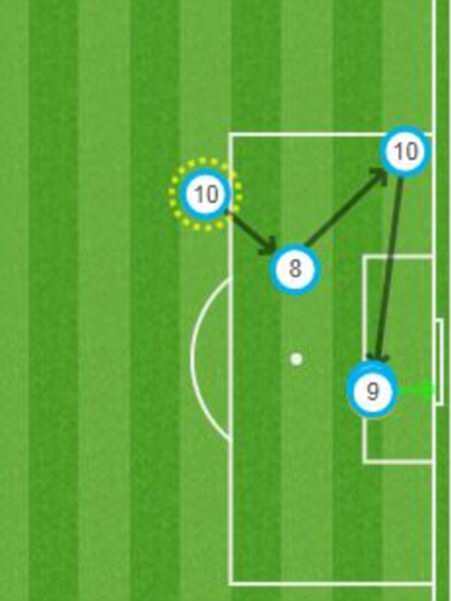 Instead Lacazatte’s header from a Jack Wilshire cross after 60 minutes will have to do. It was a well taken goal, with a fine hang time, impressive even in the NBA, but it doesn’t see enough. Arsenal must score in Madrid and not concede. Nobody is thinking fairytale right now. 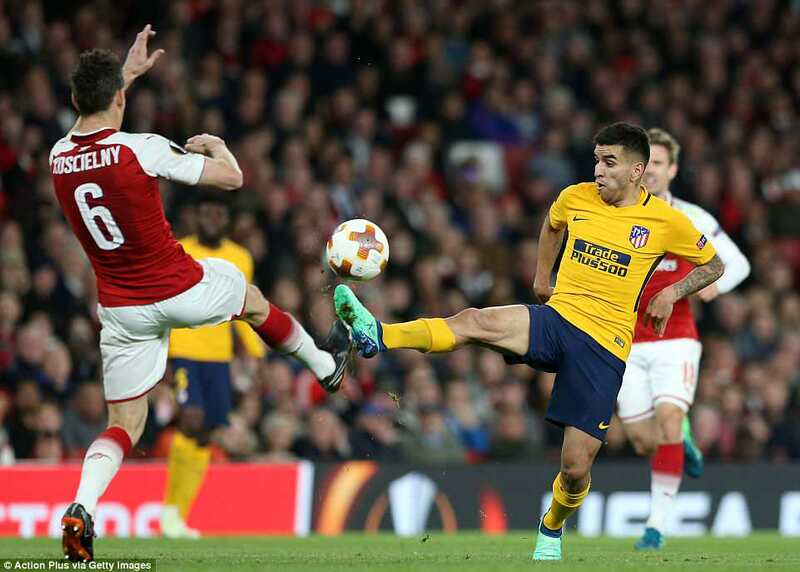 There is a peculiar form of frustration in struggling to break down ten men and the tension was only too evident as Arsenal threw themselves against the massed ranks of Atletico’s resistance throughout the first-half. Not just one man down, but one manager down, too. 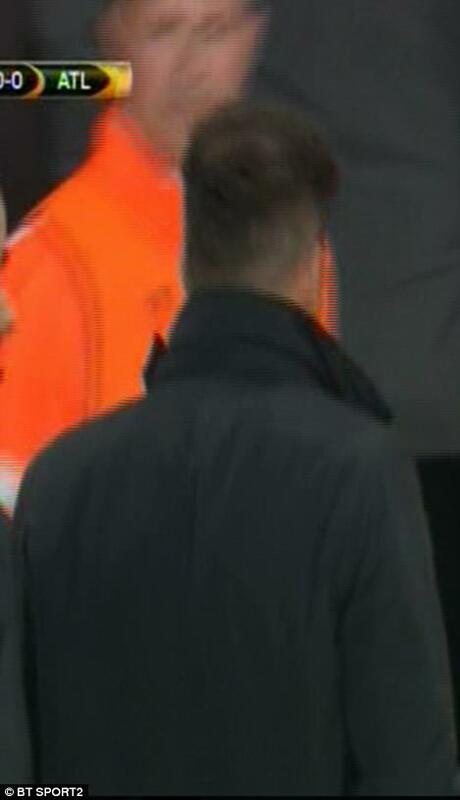 Diego Simeone joining his player Sime Vrsaljko in being banished from the game. It wasn’t just the dismissals, however, but their timing that came as a shock. Vrsaljko was booked after two minutes, gone after nine minutes, and Simeone in 13. For the rest of the game, Madrid protested that first offences were not dealt with as harshly again by referee Clement Turpin. They had a point. 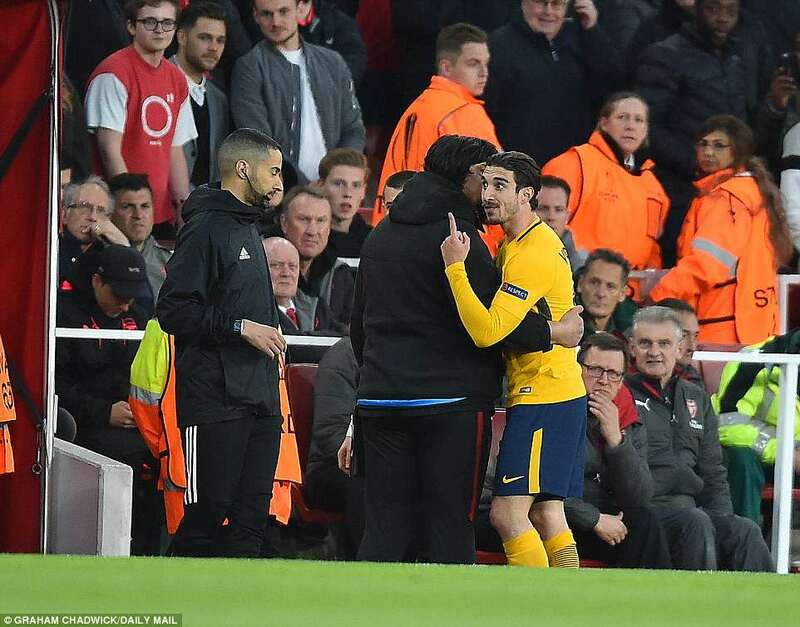 If Vrsaljko’s initial booking for a foul on Jack Wilshere looked justified, his second for a challenge Alexandre Lacazette seemed more unfortunate, catching his opponent through bad timing more than malevolence. It didn’t seem like two bookings: maybe one and a half. 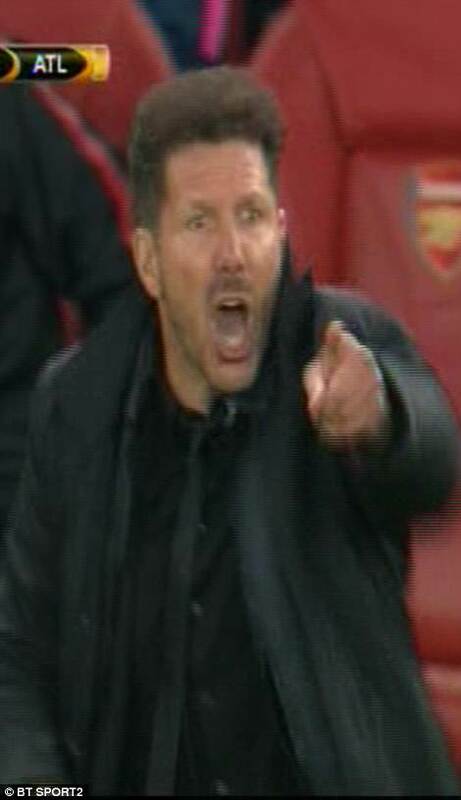 Simeone on the touchline was furious, waving his arms as if demanding a recount. From there, he was an accident waiting to happen. 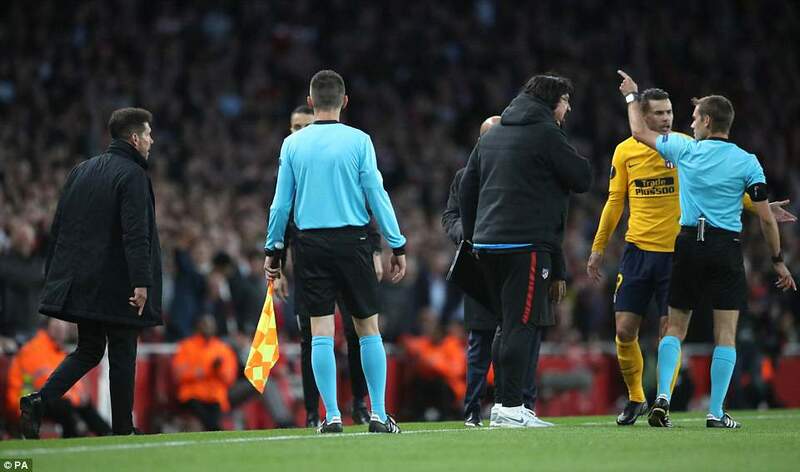 When he considered Hector Bellerin had been treated leniently for a foul, his anger took him onto the pitch. Turpin arrived and sent him to the stands. He stood at the back of the directors box in front of two white doors, like an agitated security detail. 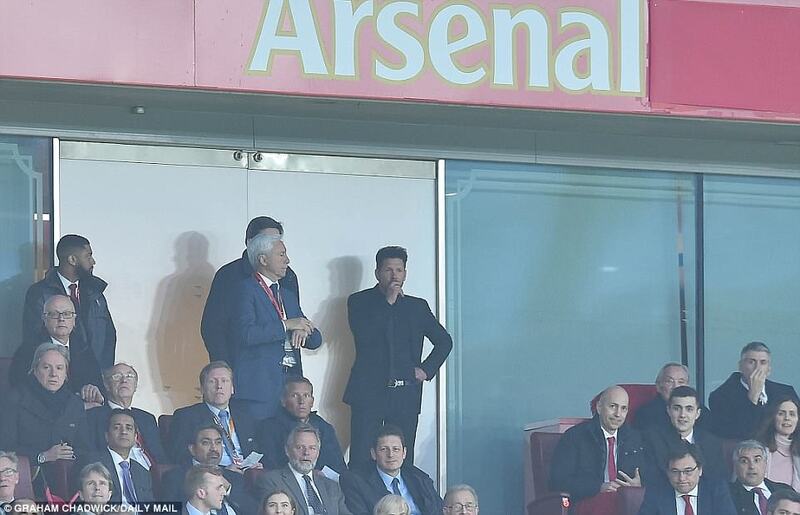 One almost expected him to start checking accreditation at half time. Few in the queue would have fancied their chances of getting in. 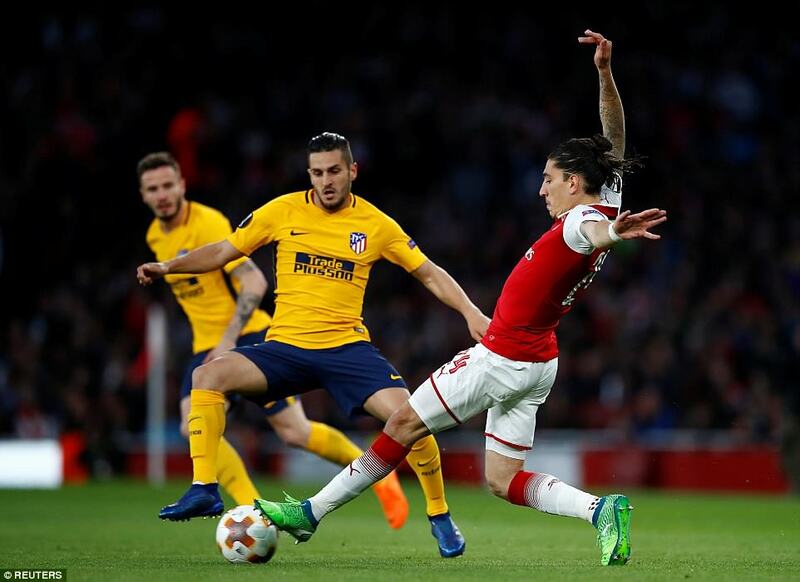 The effect though was to heighten the expectation among the home fans, and their irritation when Arsenal continue to tap dance around the fringes of the penalty area, lacking the killer instinct to put Atletico away. 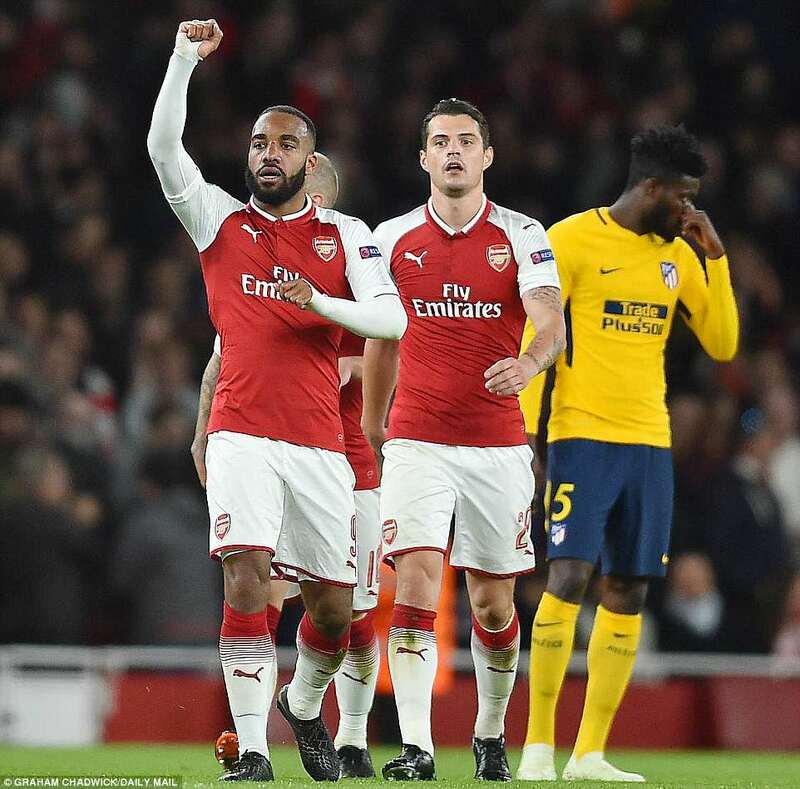 They had already gone close after seven minutes when a Danny Welbeck cross was taken on the volley by Lacazette, smashed into the turf, rearing up to clip the outside of the near post. 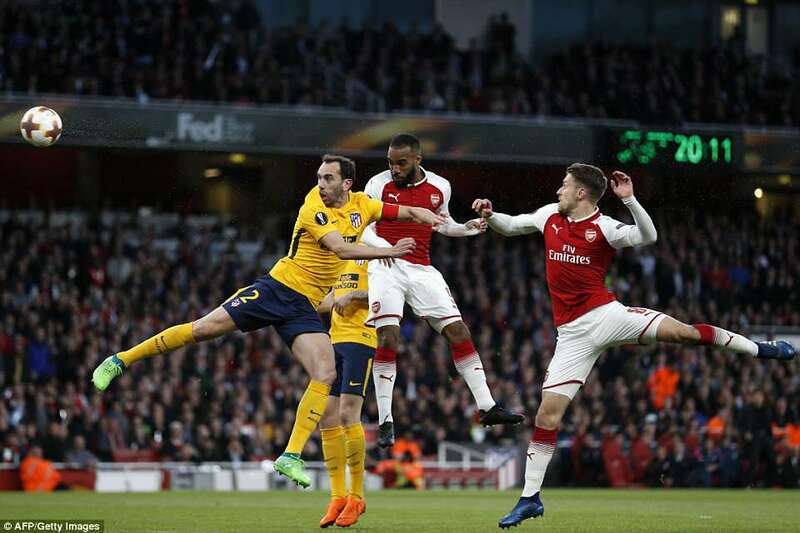 A minute later, a cross from Nacho Monreal was met by Lacazette again, his header thwarted by Jan Oblak, undoubtedly one of the finest goalkeepers in Europe. 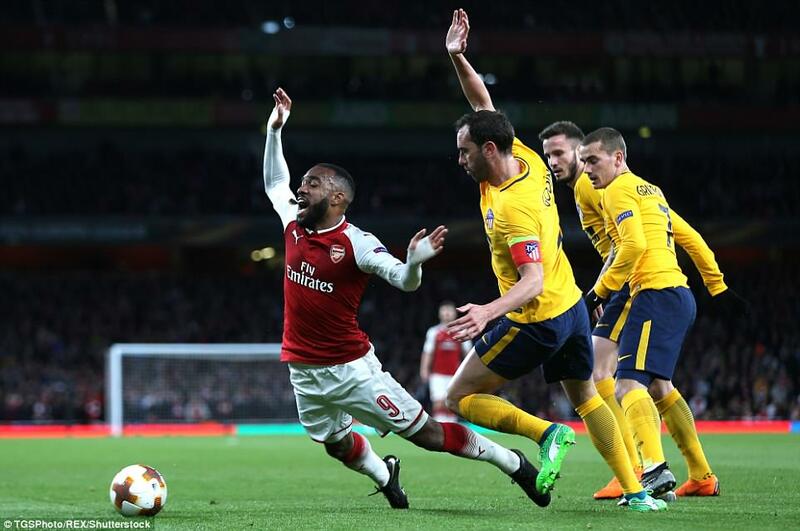 After 30 minutes, Arsenal had recorded 70 per cent of possession and the Atletico goal was under siege. 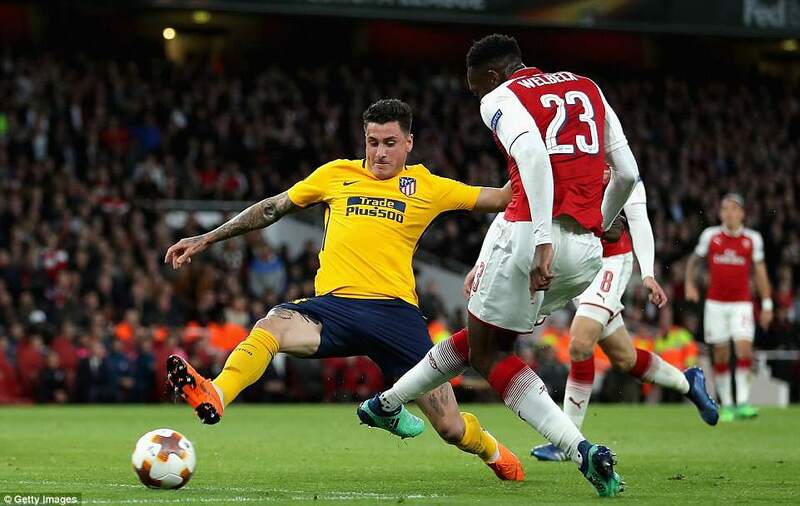 Welbeck and Wilshere played a lovely one-two before Oblak saved at the feet of the striker. The pair combined again, when Welbeck delivered a neat cross which deserved better than Wilshere’s tame headed finish. 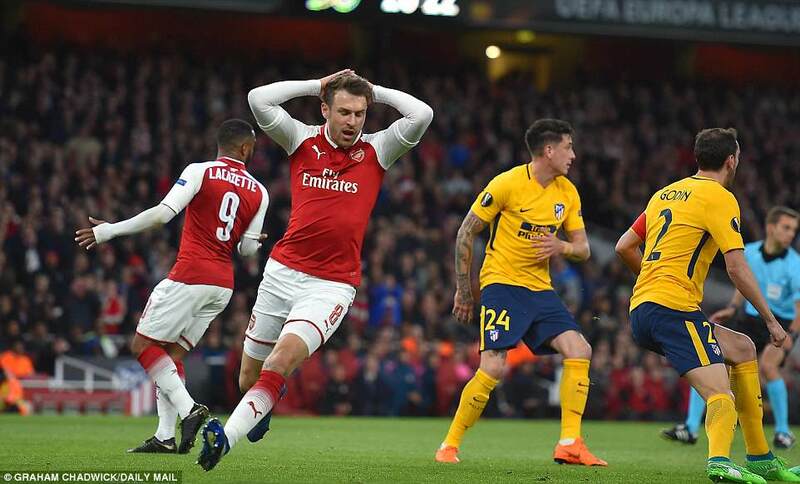 Aaron Ramsey then set up the best chance so far, his cross flicked across goal by Lacazette, falling to Monreal whose first time shot travelled just wide. But then, strangely, the course of the game shifted. The last 15 minutes of the first-half belonged to Madrid who, having absorbed the pressure, began creating chances of their own. 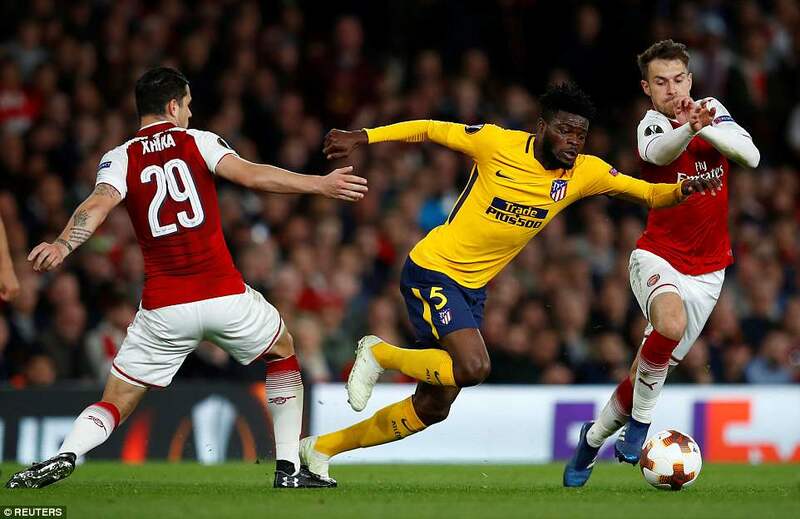 Antoine Gruiezmann had a low shot saved after 35 minutes and from the next attack Thomas Partey – switched from midfield to fill in for Vrsaljko at right-back – made a powerful run through Arsenal’s back ranks, before finding Griezmann whose shot was brilliantly saved by David Ospina. 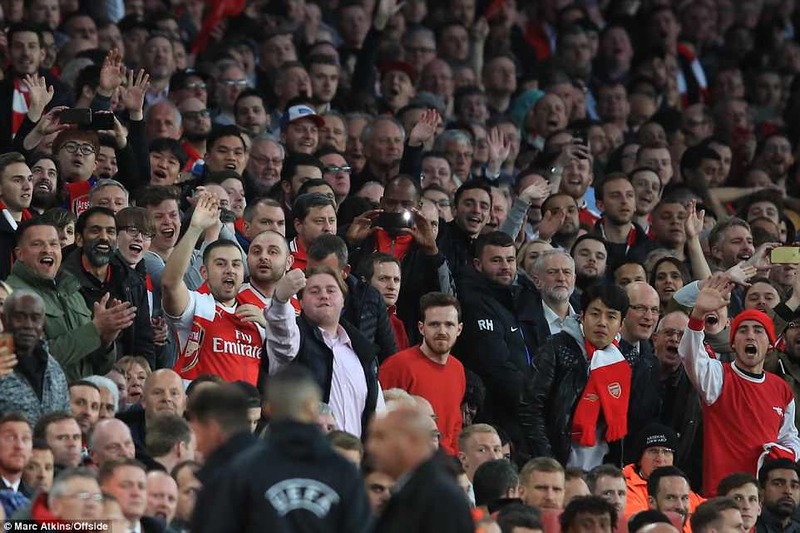 All the while Madrid were using every break in play, every Arsenal infringement to surround Turpin demanding bookings and worse, each interruption an excuse to remove more time from the game. 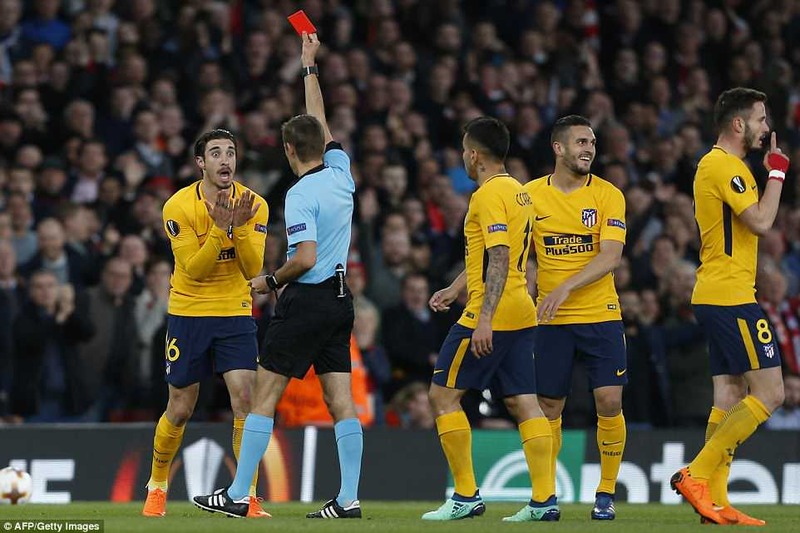 In the background, Simeone’s assistant, German Burgos, was a one-man protest movement, citing every decision he saw as inconsistent with the earlier flurry of cards. Burgos is a large man and this drew the attention of the locals whose abuse his chose to ignore, save for a look of contempt that would not have been out of place in a spaghetti western, on the face of a murderous outlaw chewing a cigar.